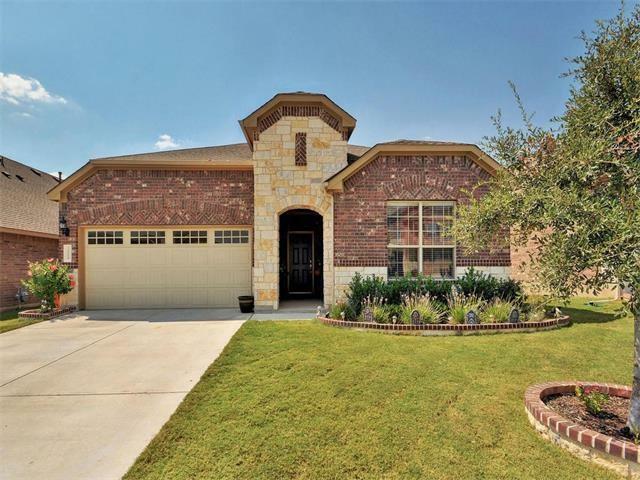 Another Home Leased by Premiere Team Real Estate - Lovely home in Leander. 100% Brick/Stone*loaded w/ amenities*Pride of ownership*Ceramic tile thru out except for bedrooms*Granite counters*Maple cabinets*Sep tub w/ walkin shower*Walk-in closet*Open island kitchen w/ breakfast bar, tile backsplash, microwave*Indoor utility*Built-in deck w/ cabinets*Raised ceilings*Cv. patio w/ sprinkler system & fenced yard*Neighborhood park w/ pool, playscape & more.